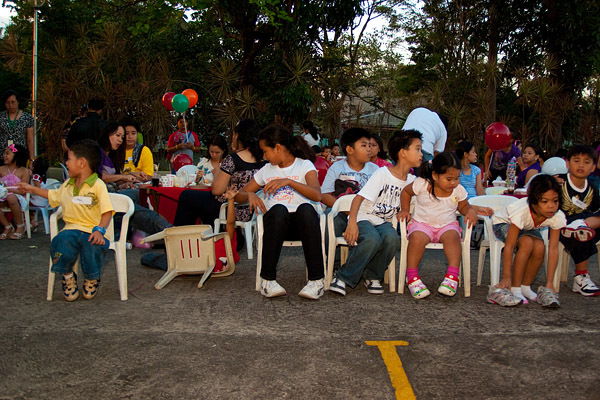 While preparing to take a shot of a parlor game in a children Christmas party (my last assignment for 2010), I saw from the corner of my eye this hyperactive kid teetering on his chair (2nd from left). I snapped just in time when he rolled over and I was laughing behind the camera. That set the mood for the rest of the season.